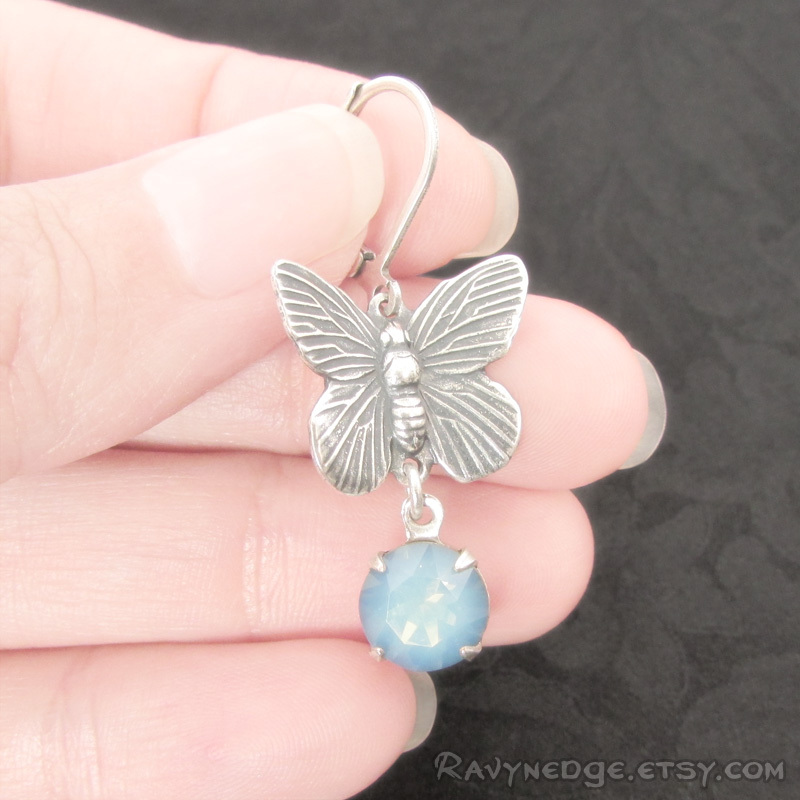 Chasing Butterflies Earrings - Silver Butterfly Earrings by RavynEdge. 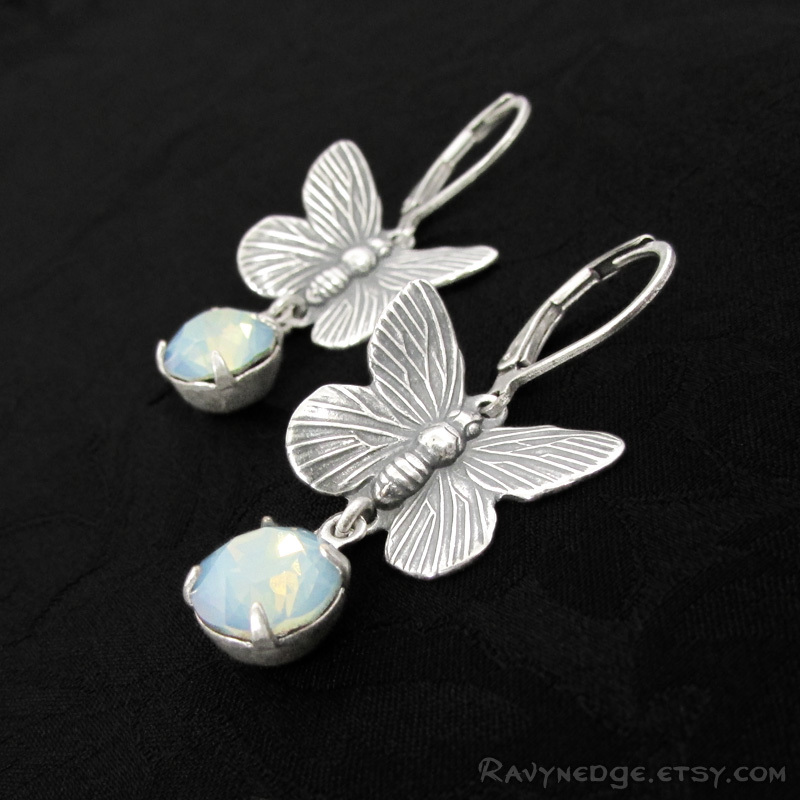 Chasing Butterflies is a cute, yet elegant pair of earrings featuring detailed butterflies with dangles of sparkling white opal starshine Swarovski crystal. 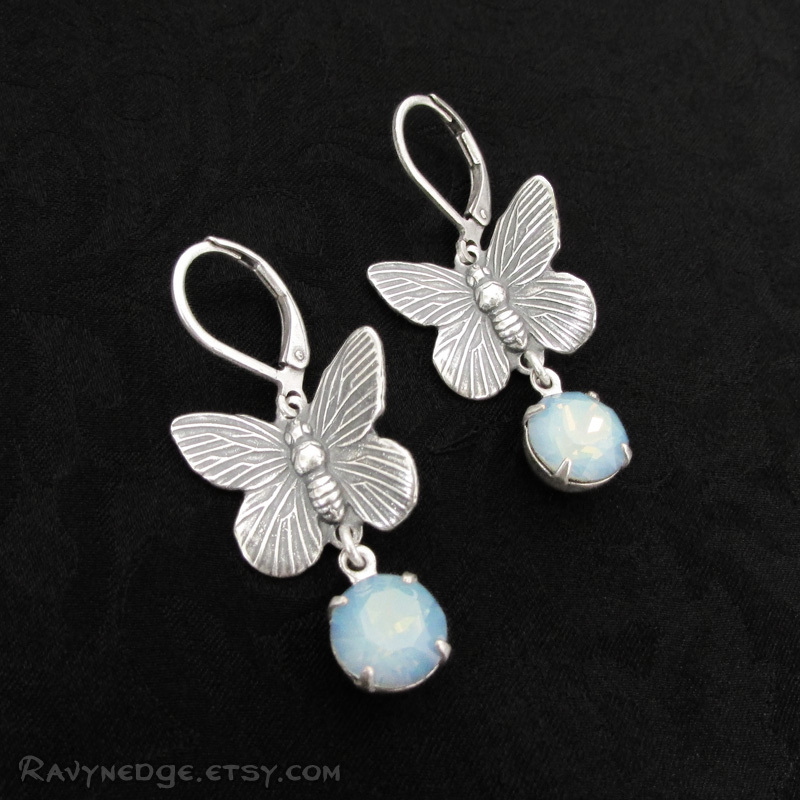 White Opal Starshine changes with the light displaying a spectrum of milky blues and golds through Swarovski's precision facets. 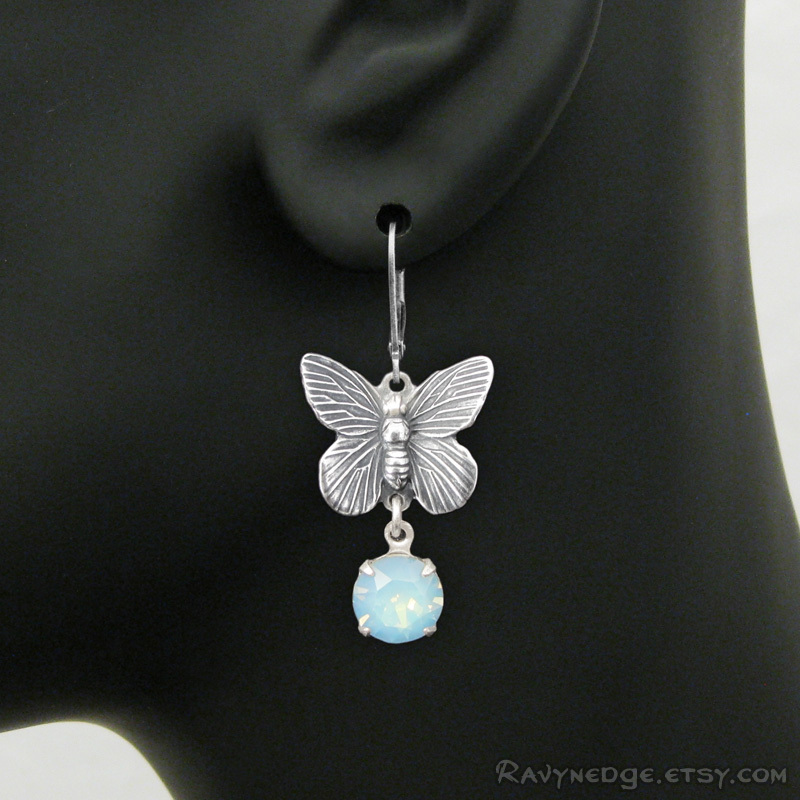 Measures approximately 1.54 inches (39mm) from the top of the silver plated brass lever back ear wire.